Located in the heart of Portugal's capital, the Lisboa Pessoa Hotel is the ideal starting point for a visit to the city of Fado! Inspired by the life and works of Fernando Pessoa, this hotel has 75 rooms. Comfortably enjoy breakfast at the Mensagem Restaurant, on the building's top floor, whilst contemplating the view overlooking "Lisbon and its multicoloured houses". 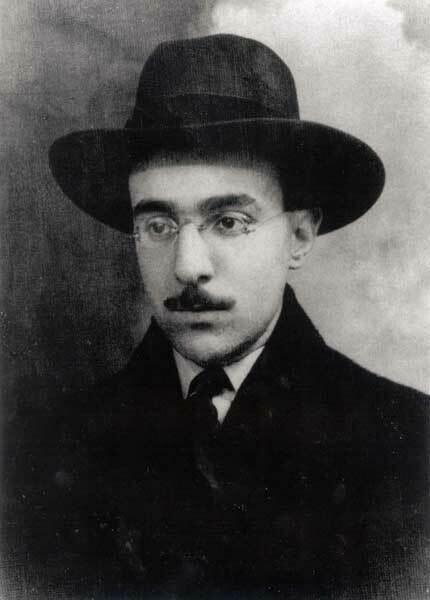 Fernando Pessoa is the most important Portuguese writer. Born in Lisbon in 1888, he lived mostly in the Lusitanian capital and had even resided in South Africa during his childhood. At 47, he had written thousands of pages of the best literature, making him one of the greatest contemporary poets. In his youth, he lived in the Carmo zone, a few meters from the Lisboa Pessoa Hotel, which is dedicated in his honor. Pessoa’s most fascinating characteristic was what he called heteronymism, in other words, the fact that Pessoa invented fictitious authors called “heteronyms.” Each one had a “work,” a “biography,” a “style,” a “physionomy” unlike the others and even Pessoa, the “orthonym,” that is, himself. The floors of Lisboa Pessoa Hotel are dedicated to the main heteronyms – Alberto Caeiro, Ricardo Reis, and Álvaro de Campos. “Who am I to me?” asked Bernardo Soares, one of Pessoa’s masks, to whom Pessoa had “credited” the writing of his most widely read book in the world: The Book of Disquiet, an intimate, fragmentary, and dreamlike diary. A room at the Lisboa Pessoa Hotel is dedicated to Soares and contains a library specialized in Pessoa and Tourism. 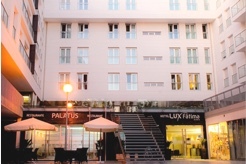 Lisboa Pessoa Hotel dedicates a panoramic restaurant and bar to the excellent work of poetry Message. Poetry was Pessoa’s greatest love. In addition, he also had a girlfriend, Ophelia, to whom he wrote affectionate, poetic letters. And, of course, he had a great passon for the city of Lisbon! This passion inspires us today at Lisboa Pessoa Hotel: The Hotel to discover...for anyone who wants to discover Lisbon and Pessoa. Lisbon is Portugal's largest city and it bustles with life 24/7. It's easy to get lost in the beauty of its narrow cobbled streets. Known as the city of seven hills, the climb to St. George's Castle is a must. On the way, you will come across people, hear stories, discover unique traditions and listen to Fado, Intangible Cultural Heritage of Humanity. A city built along the seashore - the Portuguese explorers set sail from Belém - immortalised in its monuments. 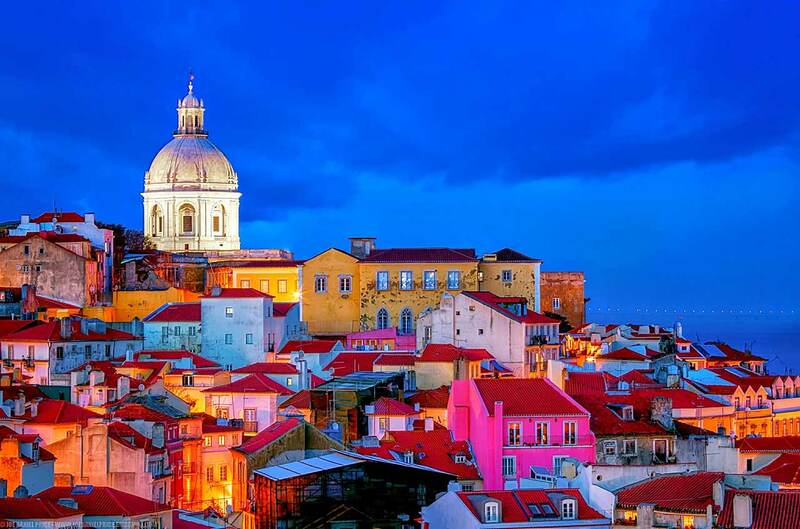 A staging post in The Odyssey, an inspiration for poets and writers alike, "Lisbon with its multicoloured houses" was a muse to Fernando Pessoa and his heteronyms. The jacaranda announce the arrival of Spring. Lisbon smells of flowers and the sea, immortalised Amália Rodrigues. A city with balconies facing the sun, and belvederes with views as far as the eye can see overlooking the River Tagus. The seagulls alert us to the sunset. When the day ends, a new Lisbon awakens: we can feel the city teeming with the endless nightlife of Bairro Alto. In addition to all of Lisbon's nooks and crannies, you also have the coast to explore. Sintra, with the monumental Pena Palace, offers a unique view over the city and the Atlantic. Cascais shows the best the sea has to offer. Further South, the ocean breeze blends with the fresh air from the Arrábida Mountain.